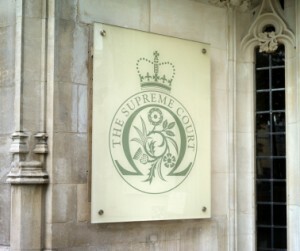 The Supreme Court unanimously dismissed the appeal brought by Mr Champion against North Norfolk District Council’s decision concluding that an Environmental Impact Assessment (EIA) was not required for the proposed development on a site close to the River Wensum, even though it is a Special Area of Conservation. The appellant, Mr Champion, is a member of the Ryburgh Village Action Group which opposes the proposed development because of very close proximity to the River Wensum. The river is a Special Area of Conversation protected by the EU Habitats Directive (97/92/EC) given effect in the UK by the Conversation and Habitats Species Regulations 2010. Regulation 61 requires that before giving consent for a project “likely to have a significant effect on a European site”, the competent authority must make “an appropriate assessment of the implications for that site”. Following investigations of measures meant to prevent the risk of river pollution posed by surface water runoff from the site, a screening opinion was issued stating that an EIA was not required in this circumstance and planning officers reiterated this in a detailed report presented to the respondent council committee. The committee therefore decided in resolve to approve the planning application. The appellant challenged the committee’s decision in the High Court which ruled that the planning permission would be quashed as it was not rationally possible to impose conditions which pointed to a risk of contamination but, at the same time, adopt the view that there was no relevant risk of pollution. However, the Court of Appeal overruled this decision concluding that the authority had been in the position to properly assess the likely effect of the development and it had considered all relevant environmental effects. Lord Carnwath, giving the lead judgment, stated that there were 2 issues on appeal: the timing of the decision on whether an assessment under the EU Habitats Directive or Environmental Impact Assessment Directive required, and the relevance of measures meant to address adverse effect on the river from the site. On the first issue Carnwath reasoned that there was nothing in the language of the Habitats Directive or the decisions of the CJEU to support a separate “screening” stage in any formal sense. The formal procedures prescribed for EIA purposes in the EIA Regulations had no counterpart in the habitats legislation. He stated that all that is required is that, where there is found to be a risk of significant adverse effects to a protected, there should be an “appropriate assessment”. This indicates no more than that the assessment should be appropriate for the task in hand; no special procedure was required and whilst a high standard of investigation was necessary, the issue ultimately rested with the authority’s judgment. In the present case, Carnwath explained that the planning authority and the expert consultees were satisfied that the material risk of significant effects on the river had been eliminated. There was no reason to think that the conclusion would be different if they had decided from the outset that appropriate assessment was required. However, Lord Carnwath noted that in regards to the timing of the EIA screening, authorities should adopt screening opinions early in the planning process. He stated that in the present case it was accepted that the council’s screening exercise in April 2010 was legally defective as the pollution prevention measures had not been fully identified at that point, so the council could not be satisfied that mitigation measures would prevent a risk of pollutants entering the river. This was an archetypal case for EIA so that the risks and measures to address them could be set out in an environmental statement and subject to consultation and investigation. On the second issue, it was disputed whether the council should have relied on mitigation measures to dispense retrospectively with the requirements under the EIA. Lord Carnwath stated that there is nothing to rule out consideration of mitigation measures at the EIA screening stage, but the Directive and the Regulations expressly envisage that they will where appropriate be included in the environmental statement. Cases of material doubt should generally be resolved in favour of EIA. Despite the defect in the procedure leading to the granting of planning permission though, the court found that there was nothing to suggest that the council’s decision would have been different had the process taken place within the framework of the EIA Regulations. The public had been fully involved, the statutory agencies had concluded that the measures proposed were satisfactory and the environmental issues were not especially complex. This case provides welcomed clarity for planning law practitioners and both claimants and defendants in relation to the need to consider the prejudice to the claimant and likely relief when assessing the merits of a challenge based on a procedural error as it emphasises the discretion of the courts not to quash planning decisions where there had been some defects in the decision-making process. Leave a reply on "Case Comment: R (Champion) v North Norfolk District Council & Anor  UKSC 52"